If you perform an internet search on “business credit cards”, you will more than likely return a myriad of results that paint them in a bad light simply because there are no added protections for card holders under the Credit Card Accountability and Responsibility and Disclosure Act of 2009 (CARD). The legislation was designed to protect not-so-savvy consumers who may experience drastic, unexpected interest rate hikes by not-so-honest card issuers willing to take advantage of them. Many business credit card holders were surprised to learn that CARD does not protect them, and so journalists far and wide are shaking their fingers at business credit cards, warning possible applicants against the ‘pitfalls’ of applying for business or “professional” credit cards. These naysayers are not telling you the whole story. For responsible credit card users, now is a great time to apply for a business credit card and use the current economic slump to your advantage. The Wall Street Journal reports that after CARD was enacted, credit card issuers mailed out 47 million professional offers in Q1 of 2010, a 256% increase from the same period last year. Why the huge jump? Because business owners are tightening their belts and postponing expansions, causing credit card issuers to lose profits. In a scramble to increase their own bottom lines, card issuers are relaxing certain application criteria for business (or “professional”) credit card applicants and beefing up the card reward programs. For instance, the Ink From Chase business credit card application has been changed to help make approval easier. The same Wall Street Journal article reveals that January 2010 mailings for the Ink From Chase card required applicants to provide the name of their company, the nature of the business, its address and its federal employer identification number. Solicitations in July, on the other hand, only required applicants to check a box that said ‘Yes, I am a business owner’ or ‘Yes, I am a business professional with business expenses.’ A Forbes blog also reports that the Ink From Chase card pays 3% back on fuel, home improvement, dining, and office supplies, as well as 1% on everything else. Small and home business owners are well able to combine personal and business expenses, making this and other similar business credit cards a very attractive option for business and even personal finance. So, despite the lack of added protection by the Credit Card Accountability and Responsibility and Disclosure Act (CARD), these new and improved professional and business credit cards with expanded rewards programs can actually prove to be advantageous for the right kind of card user. If you have a good credit score, pay your balance off every month, and do not usually incur late payment fees, the current economic climate has blown the winds of opportunity in your direction. Since the lack of added consumer protection in CARD only affects credit card users who tend to carry balances and are at times delinquent in their payments, these penalties are not a major source of concern for business owners who are conservative in their spending, keep good records, and pay off their credit card bills by the end of each month (at least most months). Getting a new business credit card now, while issuers are still looking to woo new applicants, can help build your business credit score and set you up nicely for the time when banks begin offering better business loans and you are ready to expand. 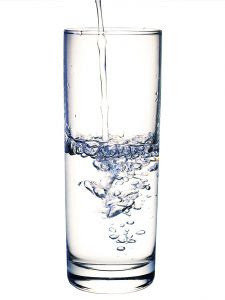 Don’t let the mainstream media tell you that this glass is half empty - it’s really half full.